“I miss you already,’’ Thomas Ball wrote to a friend shortly before he set himself on fire. KEENE, N.H. - On a mid-June afternoon, an unemployed history buff from Holden, Mass. announced cryptically on his Facebook page that “D-Day’’ had arrived. “Time to climb down into the Higgins boat and take a bouncing ride to the beach,’’ wrote Thomas Ball, referring to the World War II amphibious landing craft. Four hours later, the divorced father of three died outside a courthouse in downtown Keene after igniting himself in a gory self-immolation. Engulfed in flame, he screamed as he stumbled from the courthouse steps, fell to his hands and knees, and eventually fell silent. Ball’s final words were delivered in the next day’s mail. The Keene Sentinel received a biting screed against the legal system, in which Ball recounted the ongoing 10-year court battle over his divorce, child support payments, and visitation rights with his children. Such a desperate act would be shocking anywhere, but in the middle of a quaint New England college town, at the end of what Ball had once called “the prettiest Main Street in America,’’ it seems unthinkable. His death and final writings have resonated within the father’s rights movement, of which he was an active member, and revealed a stubborn man consumed by his court battles and, over time, sinking further into darkness. Ball, 58, intended his fiery death on June 15 - planned and researched at least 10 days in advance - to be the ul timate profane gesture, according to his writings, interviews, and court and police documents. He was taking aim squarely at the courts he blamed for keeping him apart from his kids and for what he saw as the system’s corrupt and ruthless emasculation of divorced dads. The courts and his former wife tell a different story. They paint a picture of a prideful and headstrong man who once lost his temper, slapped his 4-year-old daughter hard enough to draw blood, and then chose to remain estranged from his children rather than acknowledge he made a mistake and participate in court-ordered counseling. For years, Ball, acting as his own lawyer, filed one unsuccessful court motion after another seeking access to his children and to undo the requirement that he participate in counseling, which he rejected on principle. He channeled his frustration at the legal system into action with father’s rights groups seeking to change the law to give fathers more clout in custody and divorce proceedings. Ball would picket courthouses while carrying a sign that read “Children need their fathers’’; he ran seminars for divorced dads on court procedures. Ball spoke often about missing his children but did not seem depressed and never revealed any violent streak, said Ethan Allen of Clinton, 61, a close friend who met Ball more than 10 years ago through the Army Reserve. “This is something that happened out of the clear blue sky,’’ Allen said. Several divorced dads who knew Ball said that while they cannot condone what he did, they understand where his frustration came from. “Tom’s story, other than its end, is pretty common,’’ said Ned Holstein, chairman of Fathers and Families, a court reform group Ball belonged to. Ball’s legal story starts in 2001, with three slaps across his daughter’s face when she refused to go to bed. At the time, the Balls were living in Jaffrey with their daughters, 7 and 4, and son, 2. Tom Ball was working as a service adviser at a nearby Ford dealership. After 11 years of marriage, Tom and Karen had been drifting apart, Tom Ball said in a 40-page memoir he wrote at least two years ago and posted on the Web. “The gap between us kept stretching until finally you would ask yourself, ‘What did I ever see in her?’ ’’ Ball wrote. The slapping incident effectively ended the marriage. Karen called the police; Tom was charged with assault. She filed for divorce within weeks. Tom Ball’s defense was that a parent has the right to discipline a misbehaving child with corporal punishment. A Superior Court judge later dismissed the case, saying the slaps were inappropriate but not criminal. Ball, who had moved to Massachusetts to live with his brothers, wrote that he expected to be reunited with his daughters after prevailing in court, but Karen Ball won sole legal custody of the children in the divorce. 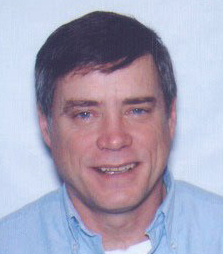 “Unfortunately due to the conflict in this divorce, conflict between Mr. Ball and his daughters’ counselors, pride, stubbornness, or other reasons this court cannot fathom, Mr. Ball never participated in the process that would have caused him to reestablish contact with his daughters and begin visitation,’’ the divorce judge wrote. Ball did have visitation with his son, according to court records. His writings grew increasingly dark. In his last letter, published online by the Sentinel, Ball gave the history of the Molotov cocktail and exhorted divorced fathers to burn down courthouses and police stations. Outside of these grim papers, Ball came off as intelligent and funny, with a deep love of history, genealogy, and Motown music, according to people who knew him. He always smelled like freshly ironed clothes, said friend Trish Hamel of Milford, N.H., who spoke to Ball frequently. They visited historic buildings and cemeteries together; she brought him to a blues concert several weeks before he died. The Balls were due back in court this month for a hearing on a possible contempt finding against Tom, who had lost his job and had fallen several thousand dollars behind in child support. He wrote that he expected to be jailed. Ten days before his suicide, Ball did two things that, in hindsight, suggest he was plotting his death. During visiting time with his son, Ball drove to the courthouse in Keene, got out of his car and took a long look at the building, Karen Ball told the police. That same day, Ball e-mailed a friend, Wayne Jewett of North Attleboro, saying he would need help sending out a statement later in June. “At the time it didn’t make any sense,’’ said Jewett. Ball never followed up, apparently deciding to mail his final letter to the Sentinel. Security cameras recorded Ball moving methodically in his last moments. The unreleased video is described in police reports. Ball tugged at the locked doors at the Cheshire County Superior Courthouse. He left his driver’s license and the key to his Ford Mustang in a sandwich bag on the sidewalk. Next, he opened a red plastic gasoline can, tipped the container above his head and drenched himself. With a red cigarette lighter clutched in his right hand, he sat down on the concrete, reenacting the iconic Vietnam-era image of a Buddhist monk’s politically charged suicide by fire. He jumped up when the flames appeared and walked 20 feet from the courthouse doors before he fell. A passerby kicked dirt on him to try to douse the flames. A police officer ran up with a fire extinguisher, but it was too late for Ball.